Xiaomi Redmi 4: Trick to Buy Successfully in Amazon Flash Sale on 25th July (Script)? Hey Guyz After the success of the Redmi 4A, Redmi 3s and Redmi 3s Prime, Xiaomi is back with another Smartphone. Its new competitor is out with Budget Price named InFocus Turbo 5 & Moto E4 Plus. Have a look at it, it has got cool features. As of now, let’s see Redmi 4. This is the Cheapest Smartphone. Name is Xiaomi Redmi 4 which is Launched in India & the Xiaomi Redmi 4 Price in India is just Rs 6,999 which is Best Budget Price for all the Indians!! 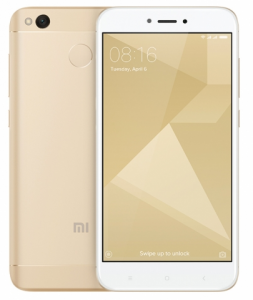 1.5 How to Buy Redmi 4 Online in Flash Sale? 1.8.3 How to Use Redmi 4 Scripts? Update: Next flash sale is on 29th August at 12:00 Noon on Amazon India. 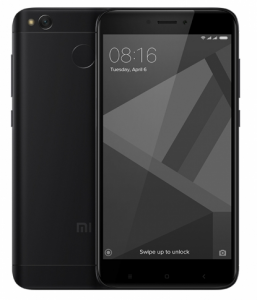 Xiaomi, after huge success of Redmi 4A, has launched another budget smartphone in India which is priced at just Rs 6,999 (starting price) which has got few variants whose price will change accordingly. Redmi 4 was launched in India on 16th May 2017. Now first Xiaomi Redmi 4 Flash Sale was on 23rd May on Amazon India Site & Mi.com official website. Redmi 4 Buy Online Flipkart or Amazon will be available soon. Currently next flash sale is at Amazon & Mi websites only. In terms of the pricing, the Xiaomi Redmi 4 will be available in three variants, the base variant comes with 16GB storage and 2GB of RAM and will be priced at Rs 6,999, the mid variant comes with 32GB storage and 3GB of RAM and will cost Rs 8,999, whereas the 64GB storage and 4GB of RAM variant will set you back for Rs 10,999. Check the table below for full details of Xiaomi Redmi 4 Flash Sale Dates, including Upcoming Flash Sales with timing. So be ready on time for Redmi 4 Buy Online! You can try out given below Redmi 4 Scripts to Autobuy Redmi 4 Phones. How to Buy Redmi 4 Online in Flash Sale? 2. Select your Choice Variant with Color and Add it to Cart. 3. Then login/signup to your Account. 6. Confirm your Order and that’s it. Your order is placed and product will be delivered soon. 7. Done!! You will receive Xioami Redmi 4 within few days! Enjoy!! Redmi 4 focuses on the most important aspects of a great smartphone experience. The 4100mAh powerhouse is able to run up to 18 days on standby mode and up to 2 days with heavy duty usage. What’s amazing is that the large battery is housed in a small metal frame with a 12.7cm (5) display that fits perfectly in your palm. It also offers better, sustained performance on the Snapdragon 435 octa-core processor. Expect better, faster, and longer performance with our new Redmi 4. Redmi 4 comes with a 12.7cm (5) HD display and size that sits on your hand snugly. Xiaomi designers have gone a step further to improve the ergonomics, dressing it up in a beveled metal frame with tapered edges that rests comfortably in your palm, even during marathon gaming or movie sessions. Redmi 4 Comes with front 2.5D curved glass that feels smooth when you tap or swipe your fingers across the screen. Redmi 4 comes with a fingerprint sensor that allows you to quickly unlock and access your private profile and files, fast. & 64 GB which can be further expanded upto 128GB with the help of a microSD card. Bluetooth 4.2 / Bluetooth HID. As always, there’s going to be huge rush in the flash sale of Redmi 4 phones. So to buy it easily without any problems or if you don’t want to miss in flash sale then here we will provide you Redmi 4 Script or Redmi 4 Autobuy Script or Redmi 4 Autobuy Extension right before the sale starts. So just bookmark this page or subscribe to Push notifications & stay tuned!! How to Use Redmi 4 Scripts? Copy the above script & paste it in console tab and press enter few seconds before sale start time. Script will auto buy redmi 4 for you or add redmi 4 in your shopping cart. Note: Script might not work in some cases as Amazon keeps changing time of Different Color Variants. So open sale page in two tabs, try manually buying in one tab and use script in another tab. That’s it. So hope you are very much excited to buy this Budget Smartphone Xiaomi Redmi 4 at just Rs 6,999. Redmi 4 Amazon will be available through Flash Sale so be ready!! Hey ! I'm Navjot - Young Part Time Blogger Interested in Sharing Best Deals, Freebies & Earning Tricks. HII EVERY ONE, I WANT TO BUY REDMI 4 MOBILE PLEASE HELP ME WHAT IAM DO. If I get this, I would gift it to my dad.